This ergonomical scissor cart allows users to perform lifting palletizing and unloading applications up to 1000 lbs. Powered by a 12V DC battery. 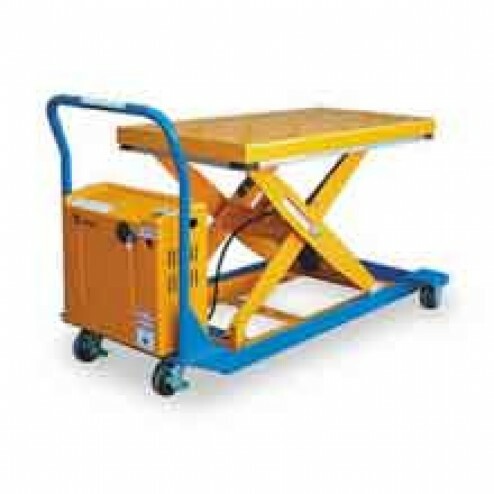 The Vestil CART-23-10-DC DC Powered Scissor Cart is powered by an internal DC powered electric motor and a 12V battery.